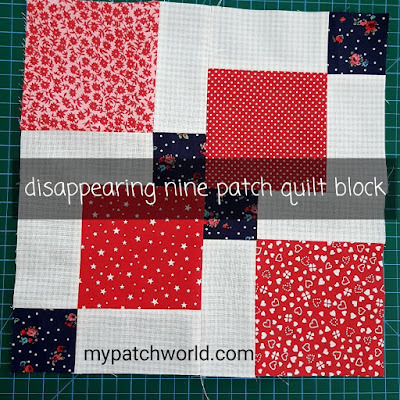 Disappearing nine patch quilt is quick and easy to make. 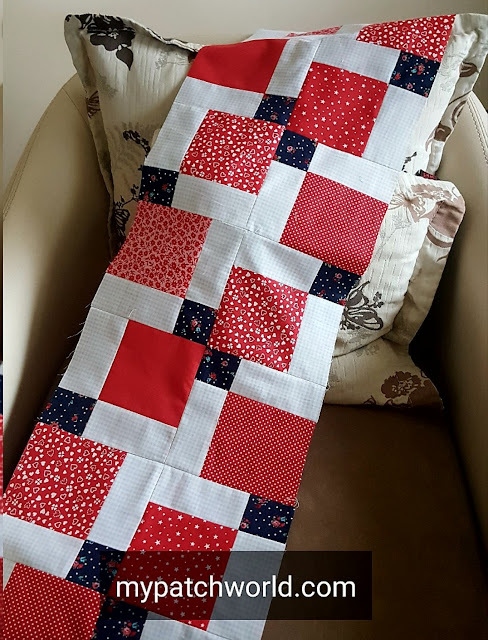 Somehow I am addicted to red colour and for this disappearing nine patch table runner I used red, white and dark blue fabric. It can be good for Christmas or Valentine. You can use your favourite colours and turn it into smth you will enjoy. Sixteen 5" squares of red fabric in different patternsFour 5" squares of dark blueSixteen 5" squares of white 1/3 yard binding fabric-red1 yard backing fabricBatting material Cut 5" squares of all colours and lay out five coloured squares and four white squares into a nine patch as shown in the photo below. I put dark blue in the center here. Sew the squares into rows with a quarter inch seam allowance and then join the rows together. Cut the nine patch block into four pieces both vertically and diagonally. Now you have new 7" blocks. Now comes the funny part; playing out the pattern of table runner! 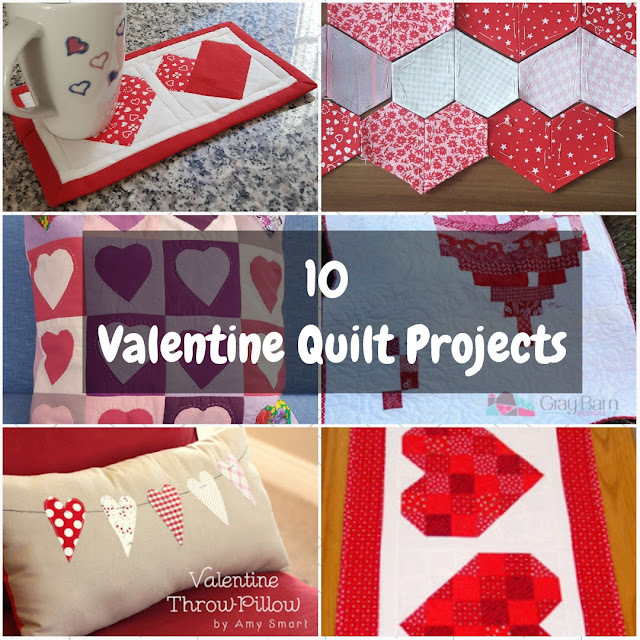 Disappearing nine patch quilt is perfect to make a quick pieced quilt blocks and quilts. A simple nine patch block is sliced in half twice to create four smaller units so that you can make disappearing nine patch quilts. Choosing fabric colours is an important part of quilting in order to create the desired effect for this quilt pattern. Here I chose a darker fabric for the center. The center square will turn into a small corner square of the new block after nine patch block is sliced into four sections. You can also use fabrics that work well with any special day: Christmas, Valentine, Easter, Halloween or just choose any color combinations that appel to you. Step by step tutorial 1- Assemble the nine patch in a traditional way, where it will look like an X with dark squares in the center and corners and lighter squares in the middle.